Of course, this kind of work is a dying art. Darkrooms everywhere have been closing as increasingly, photographers choose pixels and inkjets over film and silver gelatin. Over the last fifteen years, almost every photographer I’ve interviewed has waxed poetic about that “magical” experience of seeing an image develop in chemicals for the first time. You have to wonder whether today’s young photographers will rhapsodize as much about the first time they color-calibrated their monitors. I was curious to see how the last few years of digital progress have affected things at Magnum, so I checked in with Inirio by phone this week. He was still there, bubbling with the good cheer that, along with his darkroom skills, have made him a favorite with Magnum photographers. In the three years since we met, he said, surprisingly little has changed at Magnum. He had to switch to Ilford paper when Agfa closed, and he hopes Kodak doesn’t take his stop bath away—but otherwise, things are the same. “Collectors and galleries still want prints on fiber paper—they just like the way it looks,” he said. He’s often called upon to print from current members’ film archives, and for the estates of various deceased members, like Dennis Stock and Henri Cartier-Bresson. The prints go to exhibitions, book publishers and private collectors. “I’m still pretty busy—in fact, I’m backed up,” he said with a laugh. Magnum’s archive represents some of modern history’s best and boldest photojournalism. Its photographers have been at the front lines for over six decades, ever since, in an effort to gain more rights for photographers, the flamboyant Robert Capa brought together an unlikely group of friends in 1947 to start a photographer-run collective. In 1947 alone, the small group delivered work on Gandhi’s assassination, the foundation of Israel and life in the Soviet Union at the start of the Cold War. Since then, Magnum has continued covering world history with passion and visual flair. Last week, members Alex Majoli and Paolo Pellegrin won prizes in the 2012 World Press Photo Contest, for an image of shouting protesters in Tahrir Square and a photo-essay on post-tsunami Japan, respectively. As an organization, though, Magnum has often teetered on the edge of collapse—either from financial troubles or because it attracts strong personalities who spend a lot of time fighting. The story of the agency’s first fifty years is entertainingly told in Russell Miller’s Magnum: Fifty Years at the Front Line of History, published in 1997 to coincide with the agency’s half century. Miller does a great job of conveying the amazing talent and bravery of Magnum members while also dishing about the agency’s dysfunctional family dynamics. (One of my favorite quotes in the book comes from photographer Ferdinando Scianna, who snarls, “Yes, Magnum is a family. I hate my family.”) My review of the book for the San Francisco Chronicle is here. 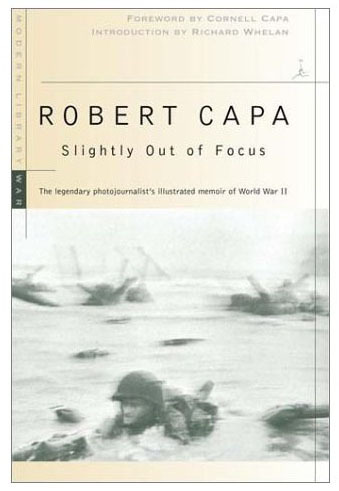 Capa’s own memoir, Slightly Out of Focus, was originally published in 1947 and is now available as a Modern Library paperback. As you’d expect, it’s lively and irreverent. I like the way it begins, with the story of how, in 1942, Capa was mistaken for movie director Frank Capra by a ship’s captain while on his way to London to photograph the blitz.. Happy to oblige, Capa regaled the captain with made-up gossip about Hollywood and “Capra”s numerous affairs with leading ladies. 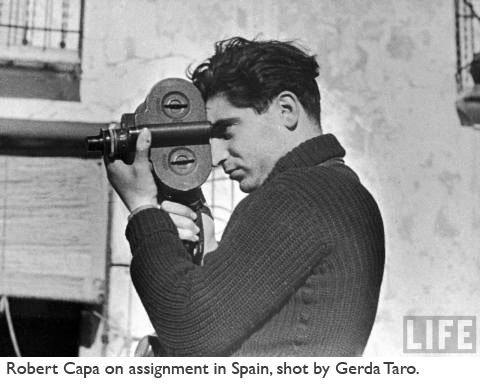 Capa’s larger-than-life personality, and his dramatic life story, were ripe for fictionalizing—and indeed, last week I stumbled on Waiting for Robert Capa, a 2011 Spanish novel that has just been translated into English. The novel tells the story of the love affair between Capa and Gerda Taro, a young photographer who was killed in action in the Spanish Civil War. It’s a story that was also lovingly told last year in The Mexican Suitcase, an exhibition at the International Center for Photography. Apparently director Michael Mann has picked up the film rights to Waiting for Robert Capa. I look forward to reading it and will review it here in the near future. Like darkroom photography, Magnum itself is undergoing a paradigm shift. As media space for in-depth photojournalism decreases, photographers are looking elsewhere for venues for their work. Agencies like Magnum are having to get creative about projects, partnering with nonprofits and corporate sponsors. But still, Magnum survives… and it’s nice to think of Inirio toiling away in the Magnum darkroom, continuing a tradition that started in 1947 with the first Magnum office. A very interesting post – the demise of darkrooms is a major problem. Its getting very difficult (and expensive) to do anything other than digital these days which is a real shame. Another interesting book about Capa that I came about completely by chance in a 2nd hand bookshop is A Russian Journal by Steinbeck. A memorable insight into Capa’s personal bathing habits…. I disagree that it is getting “very difficult (and expensive)”. Shooting film and printing in the darkroom is no harder than it ever has been. And it is actually cheaper than it ever has been as well. I have two enlargers in my home darkroom, I paid $75 for the pair. Brand new I would have been looking at close to $2,000 and they aren’t even that old! and has set it up down here. Kurt is very happy. While everyone is going digital Kurt is still printing the best photographs of his life. Both our sons Weston and Ian are photographers and they love to print their own photographs.. Disagree! I am a photography teacher. The cost of film is going up exponentially every few months and all things darkroom are getting harder to come by! Great to hear voices from the darkroom. Nothing replaces the magic of seeing an image come to life in the developer tray. Its great to see the intricate little diagrams for dodging and burning. Keep printing on photographic paper and shooting film! We must not let this die! Viva la darkroom revolution! Cheaper paper would be a big help though!! Come on people, there is nothing like the smell of chemical vinegar on your hands!! All the cows used for the gelatin will die though. Maybe try collodion? So true! I am bitterly upset that film labs are closing left and right, frequently because their owners complain they are not able to make a profit when they were never intended to make a profit, just contribute, as in the case of one hour labs that are part of lager entities like a grocery store. Can’t speak for the darkroom exactly but I just bought a Polaroid Land 350 and a dozen or so boxes of (brand new) Fuji 100 and 3000 film and I am having a total blast! Always a curiosity to onlookers and at parties, ridiculously affordable and amazingly cool shots and it scans really well if you want to tweak and post. Maybe I’m going backwards but at the moment it’s a lot more fun than forward. I’ve got an SX70 on the way and several boxes of film from the “Impossible Project”. Long live film. Really interesting post. Do you have that interview you mentioned up anywhere? Josh: Sadly, no. For various reasons, the interview never made it online. But this post has been so popular that I might try to dig up my notes and do something more with them. Thanks for reading! I second the motion–hope you find the notes of the interview! Enjoyed the article but I think that there will be something of a revival in traditional darkroom printing as a natural balance to the age of digital. The craft and artifact inherent in the traditional darkroom process will become I think particularly sort after in the Art Market…. I just want to note that there are still places where young people are learning traditional darkroom skills. Although many high schools are struggling to justify the cost of film programs, places like Youth in Focus in Seattle (youthinfocus.org), where I work, as well as a handful of similar programs elsewhere, are creating passionate young film photographers (as well as digital photographers) every day! Also in the Seattle area, Shoreline Community College offers classes in film photography. Have to agree with you Barry. I published “Darkroom User” magazine for seven years back in the 1990s, but it was a labor of love (a pleasant one, mind you) although one I was passionate about having hand-processed more than 10,000 films during my darkroom days and undoubtedly a number at least two or three times that in sheets of paper during my 35 years of wet-darkroom work. I’ve been “numerique” for a decade in France through necessity, rather than choice, but I still miss the Zen-like silence when working under the red glow. Agree with Barry. There seems to be a resurgence in film use in general thanks in part to toy cameras (Holgas, etc) – and potentially that same interest in hands-on work in the darkroom. The smell that comes out of the tank as the water goes in for the first time…to me like freshly baked bread. developing film is one of the best highs ever.i hope it will always be around. Mr Ansel Adams didn’t scratch a picture that way…. 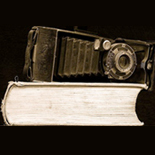 And even not having the choice (surpluss) we have enjoyed concerning films, papers and chemistry… his negs and prints show us what means concerned!!! Jose: Well, Ansel Adams did once famously remark that “the negative is the score; the print is the performance.” Although his negatives were amazingly well exposed I believe he did do a fair bit of manipulation in the darkroom too. Right you are-look up the “zone system” he developed-I use the same principles in my fully digital work now. An artist will naturally seek improvement and perfection. A straight print would never fulfil. Infact the few times I have had a “perfect print” I have felt cheated and unsatisfied – like I have missed something. Interesting that you have such an opinion. I’ve personally seen Adams negs and I can assure you that, even though he was a great photographer, it was his printing skills that made his reputation. I doubt that there is such a think as a “straight” Adams print. He also created detailed notes about how to print each neg. You’ve got to be kidding. Look at the variation and development of the series of over 1000 prints that Adams printed himself over several decades after he photographed “Moonrise, Hernandez, Mexico” in 1941. The prints considered definitive weren’t produced until the 1960s by which time Adams, in addition to the various dodging and burning “recipes” he had experimented with, had applied several chemical processes to the negative to darken the sky. He raised dodging and burning to a high art form in the middle 20th century. I actually wonder how someone can possibly understand if they never had their hands on film? @propagandaphotos Agree. Russian Journal is an excellent read. I dare to say that the number of darkrooms has increased. Because it is not easy to operate economically viable many may find some space in their own premises. I am not yet convinced that darkroom work itself is on the demise. I agree that the days of film in PJ are over. What ever the situation I will keep shooting film till the nearest lab keeps it developing. Thanks, Joe. The guide prints are not from a book. They’re exclusive to this blog post. Pablo shared them with me when I met him at Magnum a few years back. Thanks for such a great post. There isn’t enough behind the scenes stuff like this for so many iconic images out there. I love to shoot film and I’ve been stocking up on it just in case it becomes harder to find. I need a bigger freezer! Ansel Adams has time to wait for the perfect light, which he knew how to use it. Photojournalism is on the fly. I konw both, and as an assistant spent two years in the darkroom. processing and printing, didnt love it at the time but until digital it was the best way to learn b&w printing. Would like to start it again, the equipment is in the attic getting dusty! Maybe some day. Saying that it’s dying in your title just continues the perception that it is. But it very much still alive… at least in my darkroom. Nice post. Check out the following book which has marked up prints like those on this blog showing exposure times for dodging and burning. Like all of you, I haven no intention of giving up either film or my b/w darkroom any time soon. The marked up prints are quite interesting. When printing in the digital realm, the masks on adjustment layers look very much the same – many layers for many subtle, nuanced tweaks of the image. 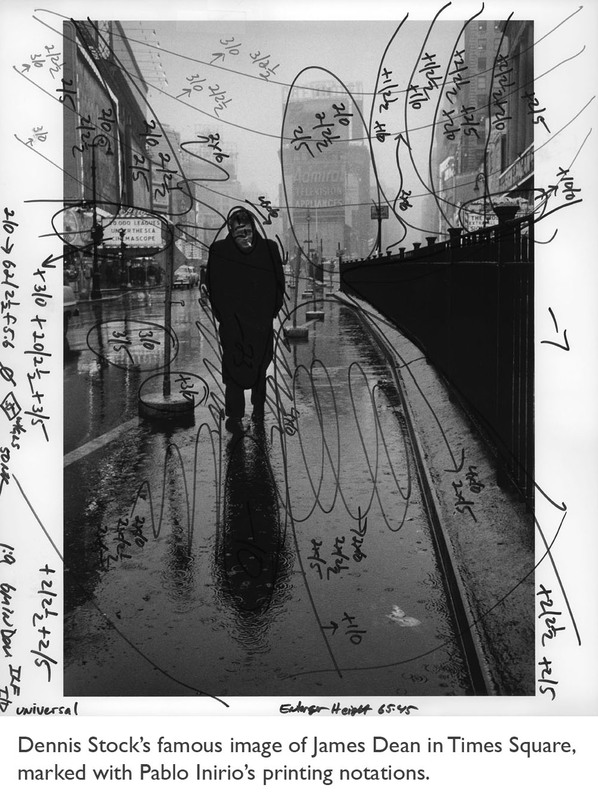 I’ve read that W. Eugene Smith would make a copy negative of a ‘perfect’ print, then print that negative. With the layered file, that perfect print can be reproduced over and over, and even re-interpreted. I’ve seen several different versions of some of Ansel Adams’ iconic images, printed in surprisingly different ways. Great discussion, and great article. Thanks for your hard work on this blog. Gary please go home with your digital rhetoric, VIVA FILM FOREVER! Wonderful article. Mr Inirio should be respected in the darkroom world as a very rare and dedicated personality, who goes way above and beyond what’s normally achieved in a darkroom. Printing negatives that were exposed in less than ideal lighting conditions, often quickly and on the fly, without proper metering. It’s just incredibly difficult to make such negatives look that good! A few other printers come to mind; Sid Kaplan who printed for Henri Cartier-Bresson, or how about Gene Nokon who taught Yusuf Karsh a thing or two about f-stop printing? There’s a marvel in Toronto by the name of Bob Carnie, who is a really talented and amazing darkroom printer, but it’s a bit of a dying breed. My hope is that articles such as this will spur an interest in the art of printing silver gelatin in a darkroom. There are lots of people shooting film these days, but not very many who do anything other than scanning that film and then work with them in the digital domain. Nothing wrong with that, but we need more printers to keep raw materials for production of silver gelatin papers viable and available. If you’re curious about darkroom printing – find a way of doing it! It is tremendously rewarding, and one of those labors of love that keep getting better every time you do it. Can anybody explain the printing notes? I can make out fractions but do these represent burning and dodging times? If so, how would you action all these adjustments when making a print? I develop my own film and recently purchased all that I need for the dark room – but have nowhere in the house to set it all up 😦 I can’t wait to do my own printing! 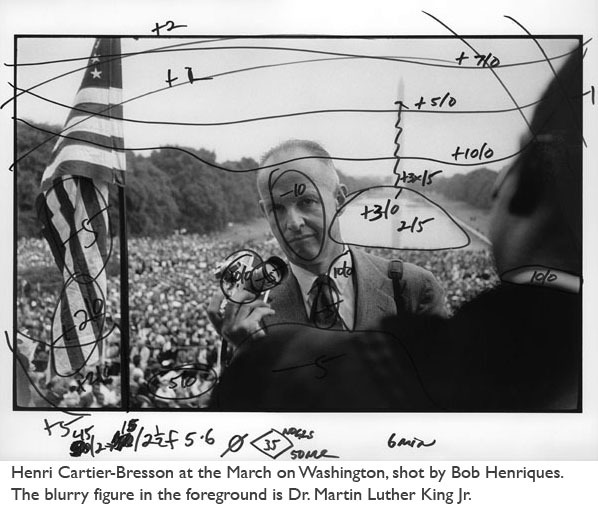 I’m a hack compared to Mr. Inirio, but use print maps just like his in my darkroom when I print. You have to, because there’s no way to remember it. Notes in the map could have to do with contrast grades as well as times for dodging and burning, although I’m doubtful Mr. Inirio used variable contrast papers when he made those prints. It’s all about having a critical eye when you print. Tonal values are chosen carefully to support the content of the print, and making what’s important stand out while toning down what isn’t. You have to remember that a lot of the negatives that someone who prints for Magnum uses are often exposed in less than ideal lighting, probably not metered perfectly (or at all) because it’s a matter of capturing a moment that will disappear quickly. You could even be dealing with push processed film, which is a printer’s worst nightmare to eke shadow detail out of. In short, many of the negatives are just incredibly difficult to print. If you have the time to set up lighting in a studio, or carefully meter a scene you’re photographing, a lot less darkroom gymnastics are required to reach desirable results. While you should always maintain a highly critical eye, and never settle for anything less than the very best you can achieve, what you see in the article above is pretty extreme by my experience. My respect for printers such as Pablo Inirio, Gene Nokon, Sid Kaplan, Keith Taylor, Bob Carnie, etc grows as I accumulate more darkroom knowledge myself. It is nothing short of amazing what they can achieve, and as artists we should all aspire to their level, or perhaps even aspire to being better, to forward the art of darkroom printing, and safeguard it for future generations to enjoy. Tom, I have to agree with you 100%. I forgot to mention that often with difficult negatives there are lots of techniques employed to eke the very maximum out of them, such as flashing the paper, building masks, tweaking the paper developer to adjust print contrast in between individual paper grades. You can use techniques of diffusion for effect, and use burning- and dodging tools to flash just parts of the paper, etc etc etc. There is a lot to know about silver gelatin printing that most people don’t even know about (including myself). If you’re truly interested in the mechanics, as well as the art of printing, I highly recommend Ralph Lambrecht’s book ‘Way Beyond Monochrome’. It is a fantastic piece of literature that discusses nearly every aspect of b&w printing. I will also say that it is very hard to relate all of the text to real world results until you actually start printing in the darkroom. Hands on, get down to business and just start printing. Find a way of doing it, and experience the joy and magic of watching your efforts appear before your eyes in the developer tray. Hi Jono, I’m not sure how Pablo does all of his burning and dodging on these prints during the exposure time. I do recall that he had a lot of handmade dodging tools of various sizes, and theoretically one could hold three or four of them at the same time. Even so, it must require an enormous amount of concentration to create a series of prints from these specs! Good luck setting up your darkroom at home! and I really love being able to give an example of a true printer. Thanks so much! This has been a very popular post. Thanks for reading, and please send the URL to anyone you think might be interested! … here is a reminder of the good old days … sometimes I miss them … the care free attitude and the luxury of time that came with it … on a good day I managed to print five final prints. Now I would not even dream to go back to a darkroom to print … mostly because I do feel differently for water so precious and time even more precious. Because you cant replicate the feel of film with pixels ! http://www.silverprint.co.uk/ In London say Film and Chemicals sale up by 100% in the last two years . Building my new, with cheap used equipment, LARGE darkroom as fast as I can. Finally I can afford all the stuff I ever wanted! Just wait, as the idiots throw it all away, the inevitable comeback of analog will surprise the tossers. Thanks for this, Paul. I think your points about the cost of darkroom printing and also the reluctance to give up daylight are very apt — also there is the environmental factor to consider with darkroom chemicals. But it sure was a lot more romantic than tapping on a keyboard! I think the environmental aspects of darkroom use versus digital photography environmental foot print needs to be fact checked. Do you know how much it pollutes to make a digital camera, printer, computer screen, and computers? They use chemicals that will kill you within minutes of exposure. And, cameras and equipment is obsolete about every two or three years, adding techno trash to an already insurmountable heap of it. Chemicals used in photographic processes are, for the most part, benign in comparison to things like household cleaners and laundry detergent. I am very grateful for this thread, because it highlights that the art of darkroom printing is actually still alive! And I, as a darkroom printer feel very lonely in this digital world. Can we keep the topic surrounding that, and not how easy it is to do the same thing on a computer? Please. I beg you. There is very little left to be happy about as a darkroom rat. I hear you Sarah…. and I hear you too Thomas Bertilsson 😉 Wasn’t really my intention to rave on about how easy it is. I can tell you this: as long as I have in my possession all the negatives I’ve made up til now, irrespective of whether or not I make any more in the future, I will ALWAYS maintain a facility in which to print them (and I should point out that my ‘darkroom’ is actually my kitchen, thoughtfully set up so that I can easily/safely/cleanly convert everything for printing cooking, which are in fact very similar activities don’t you know… not that I do much cooking). Good point, Thomas (about the relative toxicity of darkroom chemicals, computer manufacturing chemicals and household cleaning fluids). Do you know if anyone has ever studied this? I believe you but it would be interesting to see a comparison study. When I’m less tired I’ll take a look online. But that’s a digression. For my part, I’m happy to keep this thread going as a discussion for darkroom printers. From the passionate responses it has engendered, and from the way the URL continues to be tweeted, forwarded and reblogged, I know there are many of you out there! I still do this as my only way of making prints. My womb room has three enlargers, 10×8″ and 10×8″ DeVeres and 35mm Leitz. The wet side has a set of deep film dev tanks using D76d mixed in May 1985 and replenished ever since. Good for you, John! Out of interest, why have you chosen this path? I am not John, obviously, but my approach is very similar to his (I think). I don’t own a digital camera. The reason is that I just like darkroom work better. It makes me happy. Digital doesn’t. It’s entirely personal, so I don’t knock those that enjoy digital work flow. But it bores me to tears. In the darkroom I can aptly focus on what I want to express, without distractions. The output is what I want my prints to look like, so for me it’s also a matter of ‘don’t fix what isn’t broken’, and just continue doing what I enjoy instead of forcing something that I do not enjoy. It really is as simple as that. In the darkroom I’m happy. To watch it all come together in front of my eyes, by doing something tangible, is magic to me. It’s equally great every time. My negatives have been carefully exposed and processed so that they fit the tonality of my paper and paper developer. That takes a lot of the grief out of printing, because it really is a system. When all of the individual pieces click together like cogs on a wheel in a transmission line, it’s just beautiful and I feel like I’m in total control of the work flow. That gives me tremendous satisfaction. Thanks for this, Thomas. It is interesting to me because I used to enjoy darkroom work a lot, and once the digital revolution happened, it took the fun out of photography for me. I’m slightly old-fashioned and technologically challenged, and these days I just take digital snaps of the kids (as artfully as possible, of course!) But you’ve inspired me to think that I should dust off the old analog camera and do some darkroom work again! Really? We all know this isn’t a good analogy. In fact, it’s a cheap shot. There is a place for both film and digital photography, and I certainly hope that film continues to be shot. But, “developing” digital images has only a small amount to do with monitor calibration. Optimizing your photos, and your vision, requires a solid understanding of the development process, be it film or digital. Thanks for the article. Well worth the read (cheap shots aside). Point taken, Don, and thanks for the feedback. It was a shorthand way of saying that there’s no direct equivalent of that slow emergence of a print in developing fluid, the process that so fondly remembered by the film generation. I hope you’ll check out the rest of the blog and continue reading — I have lots of interesting content lined up for the fall! The problem is that whether we like it or not, film labs are closing left and right and there are fewer people doing their own printing. I love doing my own printing but I can’t help but wonder how long it will be possible to do so. And if you want to get into 5×4 then MOD54 is around. What’s fascinating also and very revealing about our change of practice is the importance given to the ‘Single Killer Shot’ over the overall quality of a series. Nowadays, most of us spend much less time editing a single image and end up showing a series of shots. Look at the pics edited here, the man probably spent a whole day on getting ONE picture right. But these images here are definitely iconic. So iconic it hurts. I don’t wish to sound negative (no pun intended), but how do you know how much time the printer spends on getting one print just right? You are assuming. As a printer for a place like Magnum, I would rather expect a rather copious volume of requests coming through, leaving little room to work for a whole day on a single negative, (but then again, I am assuming too). I know many darkroom printers who work with batches. They make proof prints of many negatives, live with them for a while, mark them up, and then go into the darkroom to print work prints. Looking at those for a while, a final stint in the darkroom gives the final iteration. The volume can be very large, but it takes longer. Then I know darkroom printers who go into the darkroom focusing on their most difficult negative/print. After they’re happy with that one, they’re properly in the groove, and can crank out the easier ones at a much faster rate. Thanks for this, Thomas. I don’t think Pablo Inirio is printing in batches. I spent some time with him, and he told me that for the most part, he’s making prints for exhibitions, private sales and book publications. 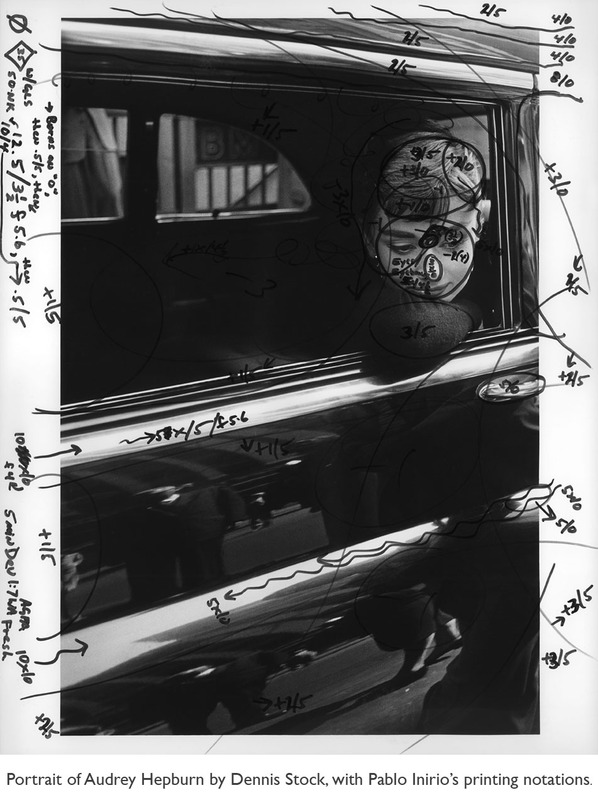 When he prints from a dead photographer’s estate (Cartier-Bresson, for example), he examines an original print very closely to determine what the photographer’s intentions were with the print. I’m guessing that Magnum printers who want an edition of a print made might go elsewhere. Inirio’s darkroom is fairly small and specialized. Film photography and the darkroom are good therapy … at least for me. I have used film since I was knee high to a grasshopper … well not really, but since jr. high anyway. I appreciate this article because I too am a darkroom printer. I strive for archival fibre prints that are acceptable to galleries and collectors. So I appreciate people who still admire and more importantly use film. We need to support the companies, i.e., Ilford, that offer the products. Almost every Thursday night from September through July, I have a class of 6-10 students who meet. This is the Brookline (MA) Adult Education Creative Darkroom. We are one of the few (maybe only) public darkrooms still operating in the Boston area. All I can add is that the fine art of black and white printing is well and thriving in this group of highly creative individuals whose ages range from 20-somethings to 88 years. My students talk about the ‘magic’ of the darkroom and work with a lot of alternative processes and scour the planet for old cameras. We participate in community arts festivals and we encounter so many people who don’t grasp the fact that there is film and paper and cameras that don’t do everything for you. And that one may have to ‘work’ to produce a print. Yes, film and paper are alive. Great! Thanks for sharing, this sounds like a great community and a great resource. PHSNE (Photographic Historical Society of New England) has many members with knowledge of alternative darkroom work and older cameras. In November and December our meetings will be in Newton Highlands near the Newton Highlands stop on the D line, which is very convenient for Brookline residents. Thank you Jay. I passed the info on to my students. Tonight will be our first class of the semester and I am sure that there will be a discussion about this thread. Ilford is opening a new black and white processing lab in California! http://www.ilfordlab-us.com/ Even though I work mostly with digital for convenience, I still much prefer film and working in the darkroom. And two Sierra College campuses (Rocklin and Grass Valley CA) still have darkrooms and teach students film and darkroom processes. I don’t think darkroom prints are a dying art. In fact, my stepdaughter has just started a class in her high school on black and white film and darkroom printing. I’m setting my darkroom up as we speak. (had to tear it down to move to another state). So there is a new generation who may in fact enjoy it just as much as us old farts do. Thanks, Chris. Your last statement may be true, and certainly, the number of people who’ve responded to this article shows that people care very much about darkroom printing. But because of the behavior of large industrial players like Kodak and Agfa (who can only survive if they dominate the market), I think the evidence suggests that although silver gelatin will survive, it will become an artistic/alternative process, along with the other alternative processes like collodion and tintype that are experiencing something of a revival. But survive it will, in some form. I wish you and your stepdaughter happy printing! Reblogged this on Romeo.Shoots.Photos . How fascinating. Old trades are just as fantastic as new ones. As an amateur photographer I can and do still print in the darkroom. It is not expensive for me and I am on a pension. I like the depth of my darkroom prints whatever that means. So do those who know my work. I use to develop my own black and white film as well as prints but I never did learn how to do color. Back in the late 70’s and early 80’s I’d even dodge and burn my prints a bit here and there but never anything that was as sophisticated at this. With me It was just playing around and thinking I was cool. The shots above? WOW! I made the switch to digital in 2005 and shot my last roll of film in 2008. Thanks, Taylor, that’s interesting. I think the nostalgia factor is high, but as you say, there’s a difference between being nostalgic and actually getting back into the darkroom! However, if you look on the comments thread on this post, there are some encouraging stories of community darkrooms being started and enjoyed. Today I had a guest in my new darkroom. He wanted to process his 11×14 B&W slides into 11×14 contact positive prints. At first I thought he was goofy, but the double reversal process works and is darn simple. I think I am going to do some in camera paper reverse positives very soon. Learned something new, in my new darkroom! Yay! Good for you. Hope the experiments go well! The proof is drying on my screens right now! So much lost knowledge, a lot of photo processing history is lost, from not sharing, secrets, too busy, we have forgotten much…at least now we are trying to document on the Internet. But I find photo forums are filled with dead links, no longer available images and confusion. Even eBay deletes the history of sales and images, losing much valuable info. This is one of the most interesting articles I have read in a long time. It may very well squash the idea that SOOC images are best in today’s digital era when in fact the electronic darkroom is just as important to the quest for a great image and an amazing print as ever they have been. Maybe the skills needed to do this have changed somewhat from the wet darkroom skill, but they are nonetheless required. I shoot only RAW and mainly b/w and try to honour the processing skills of the past as much as is possible. Just looking through a collection of magnum books will inspire (or should) any budding photographer in the digital era to get it as good as they can, and even now I have just passed my 70th birthday, the more I can learn about the digital darkroom the better I like it. I’m very happy that you still look at the final output as a print. My friends and I are a group of about 12 photographers from around the Twin Cities, Minnesota, and while most of us are very passionate darkroom printers, our only qualification for participating in our quarterly (or so) group shows, is to be submitting the very best prints we are able to make, whether made digitally or with darkroom means. It is so nice to read a comment from a digital shooter that isn’t afraid of paying respect to the history of photography, and I wish more exchange between photographers could be based on respect, and discussion about the resulting photographs more than the process of how they were made. It is, after all, the pictures that are important. Thank you for your reply! Firstly, whether a digital or a film shooter (and I was a film shooter long before I converted to digital) we share the same fantastic craft. I am an end product man, so I am not entrenched in any one method or way of getting the image. I just like the image full stop. And I like a well printed image that has taken a lot of patience and care to produce (OK I am partial to a good silver halide print on top quality rag for sure). But to get the vision interpreted in print, or even on a computer screen for that matter, it takes some thought, skill, and a good bit of time in the darkroom whether wet or dry. I have a dozen or so b/w prints around my house that were printed from digital at a pro lab and they look stunning I have to say. I now print in book format my yearly portfolio and work towards the best I can get from that media. Long live photography in its best light! This makes me miss the darkroom times back in high school. I have never been fortunate enough to shoot with film. I wont live to regret digital but after reading this very interesting article with responses, i think its time i look further into this subject matter. I feel somewhat out of my dept in this tread but i know that i have always found Black and White images much more interesting to look at. Thank you for educating me on another way forward. You’re welcome, Patrick! Thanks for taking the time to comment, and happy shooting! Recently I went to a camera store that still sells film and darkroom materials. (I am currently in the process of setting up my own so as to venture back into black and white.) Stocks of chemicals and paper were dishearteningly low but when told that a school had only that morning bought up big on supplies for use in the students’ darkroom I couldn’t help but feel glad that there is a new generation of film shooters coming along. Film has had a rough time, but it certainly isn’t dead yet! You’re right, Erik. Film will not die; it will simply become another alternative process, along with the likes of collodion and tintype and dye transfer. Good luck setting up your darkroom! I miss mine. This will be one of those reads that I will be also consulting as a quickguide in my darkroom! Não costumo fazer isto, mas este artigo merece ser republicado pelo seu interesse. Leiam com atenção – especialmente a parte em que o autor se interroga se os jovens que calibram as cores do seu monitor pela primeira vez sentem a mesma emoção que um fotógrafo que visita pela primeira vez um laboratório! Thank you! Someone translated the blog into Spanish soon after I wrote it; I don’t have the link, but if you search online you might be able to find it! I’m so glad to see these posts alive and kicking still. Long live the darkroom! I love to see these posts alive and kicking. Long live the darkroom! analog is dead. we will deal with it. That’s a terrible thing to say among those who are passionate about darkroom. What could you possibly gain from saying this? @Indiakarl – Darkroom will never die. Your comment is really rather thoughtless. I was lucky enough to have attended one of the only schools in the UK with a big darkroom and all sorts of equipment, thanks to my incredible teacher. I’m so glad I got to have my first-picture-emerging-from-the-chemicals moment; all photographers should experience the darkroom at some point. I only wish darkrooms were more accessible, although I do, of course, understand the benefits of digital. Love this, if you ever have the opportunity to experience a darkroom, take it! The scribbles all over these photographs remind me of both my own work, both literary and photographic! Never be afraid to scribble down your ideas – not only is it interesting for you to look back on but I’ve found so many second-hand books with someone else’s scribbles all over them and it makes them so much more valuable to me. Reblogged this on Justin Lee. Happy to see that this thread is still going. I am finishing up another successful session of advanced black and white darkroom work at Brookline (Massachusett) Adult Ed. We use the High School darkroom and every session (4 a year) I have both new and returning students. There is always something new to learn and I am always heartened by the creativity and passion of my students for this beautiful art form. Sorry, Indiakarl, analog is not dead. Agreed, Josephine! Keep up the good work. Wonderful post. Sure takes me back…. I used to have my own darkroom in Milan but now that I have moved to Melbourne, I kind of had to enrol to Uni to have access to their one. If only I could afford a bigger place where to live, I would then have my darkroom setup again and perhaps start teaching young kids the art of photography (the real photography). RAW? JPG? FILM! 🙂 i love it! Although this was originally posted two years ago. I have found it fascinating. Was a book every published with his marked up proofs? Superb article. Thanks, John. Funny you should mention a book. With the recent surge of interest in this article, I’m actually thinking of a book project. Stay tuned! Sarah-thanks very good blog BTW. I am actually trying to build my own darkroom (and I have also purchased a X 1 Pro:). So I shoot both. As a note – I actually get stopped all the time from young people asking about film. After graduating from Brooks Institute in 1993, I didn’t spend much time in the darkroom. In looking back at my advertising career, it had been a hollow path for me chasing the $$$. I regret ever leaving the b&w darkroom. I have recently repurchase a Leica M6 and am loving film again. Film doesn’t seem to be any more expensive as it was 20 years ago(relatively speaking), just not as plentiful in your local market. Silver prints are in a league of their own, nothing digital compares. Try craigslist for darkroom equipment. There’s a lot out there! Imágenes del trabajo de un cuarto oscuro y su habitante. I loved reading this, my 15 yr daughter is starting her A level photography course this September and they have just made a new darkroom and studio. So jealous and glad she will be learning both sides of Photography. It seems to be having a revival! Thanks for stopping by, Sarah! Yes, judging from the response to this post, I’d say darkroom printing is definitely having a revival! I quote Sam Clemens here in saying: “Reports of my death are greatly exaggerated.” I do it almost weekly, sometimes twice, and I don’t need a sacrificial print to know what to do. It’s an intuitive organic process. Come to ArtHaven in Gloucester Ma. on a Wednesday and bring film or negs, you’ll see. Having just completed a short 8 week course on B&W dev and printing I can now appreciate the “art” behind the dodging and burning that goes into making a great image. I am normally a digital user but having an image pop-out in your dev bath is still a magic moment! Reblogged this on Lighthouse Camera Club. I grew up in a darkroom. Outside the nostalgia, there is no way I’m going back. Digital offers so much more. We can take photos today that we never could in the film days. I do have to admit that watching a print come up is very magical. Hey, if you enjoy film that’s fine. Some still do wet process from a hundred years ago. That’s fine if they enjoy it. Digital offers more because its photo fraud. No writing of light is required. Its technically not photography but digital imaging. So enjoy your digital imaging which has just emerged and still a little crawling baby. People still paint oil paintings, even though that began, arguably, in the tenth century. People still breath air even though they’ve been doing that since day 1. Millions of taking digital images – I’m sad you’ve chosen this virtual cult. Outside of complete plastic perceptions and utter falsity, I shoot digital when I feel as fake as the contemporary world around me, just to see if I can fit in with this crappy display of affection, and there’s really no way I can play along with you fakes. In the end, it’s all about either producing a photograph that we are pleased with, or to say something. The method of making that happen is not very important in the grand scheme of things. Sure, there are advantages to digital photography, but I also find that there are advantages to film based photography; for example I enjoy a much longer drawn out process from beginning to end, and I greatly enjoy a more tangible process where I create with my own hands. I don’t agree with ‘K’ about digital being a fraud. That is the type of ideological stance that does nothing good for the art. There is room for all kinds of photography, digital and film, and whatever the future holds that we don’t know about yet. Keep an open mind and be accepting and inclusive; applaud other artists for their accomplishments, and stop focusing so much on the machines that makes photons into a picture. Hear, hear, Thomas! I couldn’t agree more. Really great article. Im so happy to see this article and the article in PetaPixel that cites this blog. I worked with film for years, got out of it for awhile and I’m now back into film with a new darkroom. I still do mostly digital for my daily blog, but film is really fun and challenging. There has been a lot of discussions I’ve been dragged into over photographers who believe shooting raw files with digital cameras and then adjusting the raw files to get the desired image quality is cheating. I always tell these people that it’s obvious they have never worked in a darkroom, because all you do in a darkroom is manipulate the image to get the print quality you want. Your article on Magnum and Pablo Iniro illustrate so well what I’ve been telling people about working with film and printing. Thank you so much! You’re very welcome! Thanks for stopping by and taking the time to comment. Brilliant piece of information and insight into a traditional method of image making! ” ..can’t believe you still do this..digital is the only way to shoot..” and we tended to be given the space away from the main exhibition area. But since then, we have participated in other local Arts festivals with much more positive feed back. So, we are still here, at the High School Darkroom, watching the magic that still amazes, for the past 15+ years. Such a provocative discussion, happy to see it continue. The possibilities are endless. Kurt’s Camera Corral closed yesterday in Albuquerque. It was very sad. Local TV news was there The good news was that I bought a lot of Ilford paper and film plus Kodak chemicals for 1/2 price. Can’t wait to set up my darkroom again. Having grown up in a time when the darkroom was where every image I took came to life, for me to go back to the Darkroom would be some romantic notion that in reality would probably frustrate the heck out of me. As a Photographer from the 70’s who has been there and done that but now fully embraced digital, I can remind myself of my darkroom days by just looking at my dermatitis from chemical overexposure. What is good is to see what we have known for years that the best prints have always had LOTS of work to attain a final result. Romantic past musings are great for people who did not spend 20 years in the darkroom. Hi Brackets, I think a lot of us are not considering this ‘romantic past musings’, but the most interesting and involving way to make prints. I liked everything else about your post, and understand your perspective, even though I’ve only been a darkroom practitioner for 15 years. Chemical exposure is also a concept that is great to discuss! Some people are more sensitive to others, and with a lot of today’s darkroom suffering from improper ventilation and protective measures, the risk might be even higher. We can’t have that discussion, however, without also discussing the techno trash resulting from digital imaging, and the toxicity of the chemicals used to manufacture new cameras, printers, scanners, monitors and such; many of those chemicals would kill you immediately, but since we never get directly exposed to them, we tend to conveniently forget about them, but they are nonetheless real and today I argue a much larger issue than most people realize. I strongly agree with Thomas. The technology of electronic imaging is so removed from us and very toxic. This week I heard a report on illegal harvesting of gold used for these devices. I am sure that there are many who have had your frustrating experience in the darkroom and never wish to return to it. But there are still those of us who are discovering new ways of expanding the results of using the basic three chemicals ( without sacrificing our skin). I still teach an advanced darkroom class 10 months out of the year and it is always full. My students all have digital equipment. But we do not spend our time on ‘romantic past musings’ nor do we debate the pros and cons of a specific medium. We use the time to express our Art. The Art world is a very tough place as it is; we need to support and encourage ALL Artists, all mediums, no matter what our preferences or our prejudices. Amen, Josephine!! The art world should be a place of support by all means. Brackets, the toxicity resulting from manufacture of darkroom supplies should certainly not be neglected; I merely wanted it to be a balanced discussion that is as informative as possible. I actually think that the manufacture of both digital and darkroom based photography supplies are all affecting our environment negatively. I for example often think about the pieces of film, backing paper, paper scraps, film cartridges, etc. that are discarded every time I process film or print, wishing there was a better way to recycle them. My post was also intended to counter balance your notion regarding a romantic view of darkroom work, and I felt a little slighted by that, to be honest, so I got defensive, since I think we artists need to stand together and support each other, irrespective of the tools we use. I agree maybe we get a little sentimental about people like Mr. Inirio, because his kind is becoming more and more scarce. Perhaps one day there will be nobody like him, and that will be a very sad day for us film and darkroom based artists; we don’t exactly have much hope to hold onto. I spent a lot of time in the darkroom since the 60’s . We, my colleagues and I, took precautions against exposure to the chemicals so we where not affected by dermatitis or any other skin condition. Having worked in Prof Labs for the past 20 odd years I can honestly say that while digital has come on in leaps and bounds when it comes to black and white prints and no matter how many digital fine art papers there are, digital just cannot hold a candle to a fine art darkroom print in my personal opinion. I just want to explain that my post is a personal Viewpoint from someone who has spent a lot of time in a darkroom. I never found this a frustrating experience, rather, I loved it and had a passion for all aspect of image production. I feel very lucky to have had this time in learning silver based imaging at all levels. But I also because of this can and have embraced the newer mediums, and use all of my old printing skills to good use in manipulating images and printing on fine art and modern papers. I know (as i have done it), that for me going back in the darkroom is not for me. For ME it would be revisiting the past and revisiting things I have already done many times, thats all. I am keen to continue to learn and have found that everything I learnt in the darkroom has helped me transition to newer printing technologies and continued experimentation. I will say i have found that peoples concern for some manipulation of digital images as not being pure or honest. in my opinion is ridiculous as every great print I ever produced in the darkroom involved some manipulation. Even choosing a grade and contrast of paper! Point taken, Brackets. Keep printing and learning and being involved in the Arts! Reblogged this on Loft for Two. This entry was posted on February 17, 2012 by sarahjcoleman in Books, Interviews, Novels.